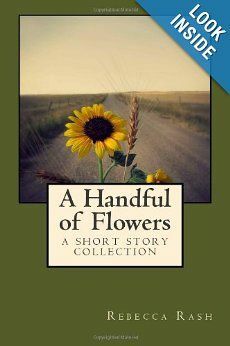 Self-published in 2012, Rebecca Rash’s beautiful collection of five short stories, A Handful of Flowers, lovingly portrays lessons of humility, salvation, and compassion. Miss Rash almost brought me to tears on a couple occasions, and made her book a perfectly clean read, excellent for any young bibliophile. A promising book with a great message, I would have liked to see it take the advice of an editor from a publishing house. There were numerous punctuation mistakes, unfortunately, and some of the dialogue wasn’t lifelike. But the stories were precious. My favorites were A Flag of Memories, Only That, and A Handful of Flowers—all poignant tales with excellent messages. Thoroughly recommended for eight- to twelve-year-olds. Compare this review to my original thoughts on the cover. 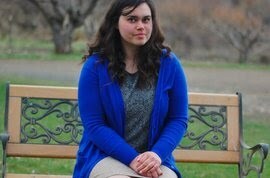 You can find Miss Rash's book here on Amazon.com. Hannah, thank you! It was wonderful to hear your thoughts on it. *Blushes* I is very sorry about all the mistakes - I was working with my editor/formatter at the time and gave you the one I had then. The formatting is beautiful now (Thanks so Aubrey!) and much is fixed. I am glad to hear you liked it! You're welcome, Rebecca! Here *I* shall blush. I was wondering if it might have just been the downloaded copy of the book :) It would be nice to have it in book format! I'll hop over to Amazon and see about posting the review :) I think I've done it once before so it shouldn't be a problem. You know what, I don't think I have, actually. And I'm not sure if I can--it says I have to make a purchase to do so. Darn it. Well, if I ever personally make an Amazon purchase (or buy your book!) I'll post the review on there! Yes, I know! I don't know if you do Kindle, but I am trying to learn how to give away free kindle books. Haven't figured it out yet! Oh, that's all right, I remember that little hook, as I went to review a lady's book and it said the same to me! :D But thank you! I haven't ever done Kindle before--in fact, reading your book on my computer was the first time I'd ever read a book *on the screen*! I don't really like reading on screens--I think it's probably worse for your eyes and just less healthy for you altogether--so I really hope the world doesn't completely transfer to Kindles. I want BOOKS, peoples.